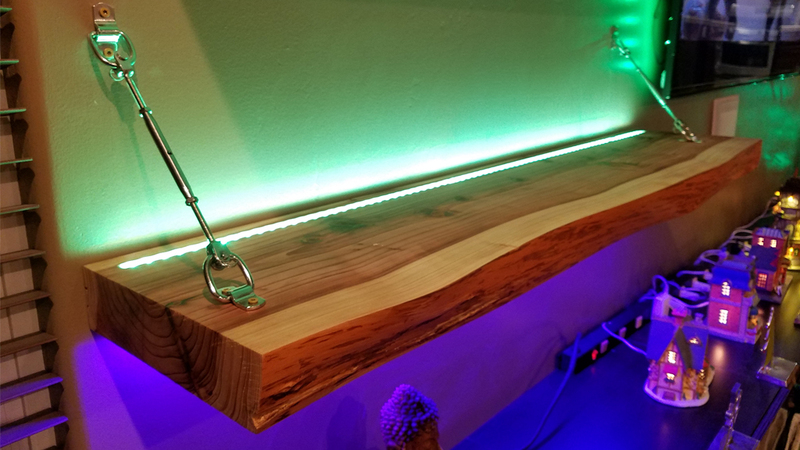 I wanted to build new floating shelves for my living room entertainment wall and utilize LED lighting. I procured a slab and cut it down so it could be planed. I CNC cut the groves to inset the LED strips and acrylic cover pieces. I used nickle plated hardware to provide extra support and ran power through my wall to an outlet. A floating shelf to proudly display items.